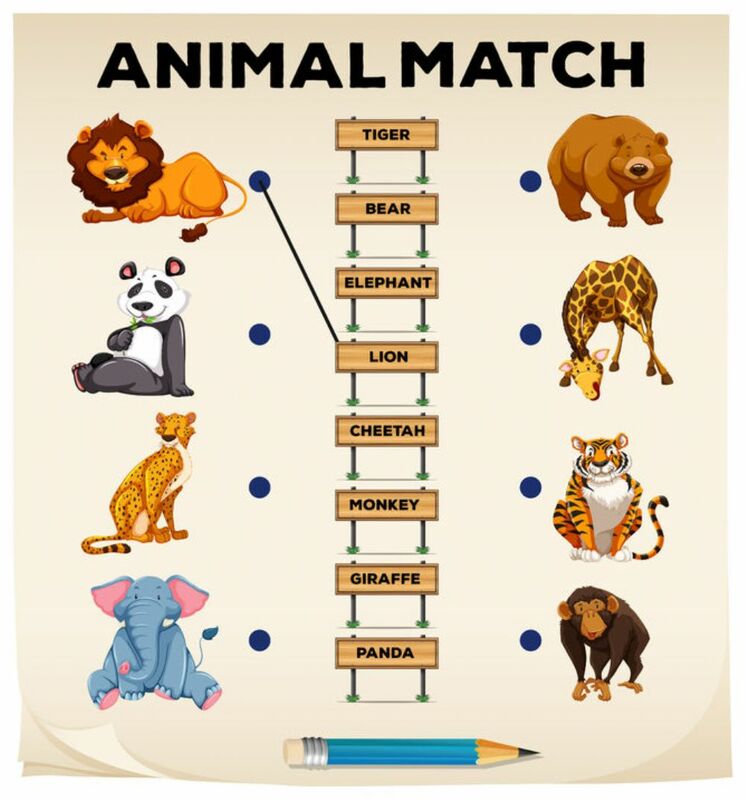 Match the animals with their names: lion, tiger, cheetah, panda, giraffe, bear, elephant, monkey. simple...but so well done! love it for beginners! LOVED THIS! I WAS HAVING PROBLEM ONLINE ON HOW TO TEACH MY KOREAN STUDENTS BUT THANKS TO THIS ! IT MADE MY EVERY LESSONS SO FUN AND ENJOYABLE!